The Lyric Opera kicks off its 56th season on October 1st presenting 68 performances of 8 operas in a 24-week period. On January 26, 2010, the upcoming season schedule was announced by General Director William Mason. Joining Mr. Mason at the press conference to discuss next year’s performances were Sir Andrew Davis, Music Director and Barbara Gaines, Director for Macbeth and Artistic Director for Chicago Shakespeare Theatre. Extra Special: New production by designers James Noone (sets), Virgil C. Johnson (costumes) and Robert Wierzel (lights). Extra Special: Fire burning Warhorse! Extra Special: Lyric Opera premiere – new production designed by Dale Ferguson* (sets and costumes) and Damien Cooper* (lighting). Extra Special: New San Francisco production by designers Zack Brown (sets) and Christine Binder (lights). Extra Special: New production by designers Mark Thompson* (sets and costumes) and Christine Binder (lights). Extra Special: Premiering at the Metropolitan Opera in 1910, this Puccini classic is celebrating a centennial anniversary. Extra Special: New production designed by John Napier* (sets and costumes) and Christine Binder (lights). Extra Special: Lyric Opera premiere! New production designed by George Tsypin (sets), Dunya Ramicova (costumes) and James F. Ingalls (lighting). Twenty-three subscription packages will be offered with a 25% down payment plan option. Individual tickets for the 2010/2011 will be made available closer to the beginning of the season. It’s never too early to make a plan to experience the majesty that is the Lyric Opera. Ferris Bueller’s Day Off – Art Institute Museum Scene – Dream Academy. the music is entitled "Please, Please, Please Let Me Get What I Want"
One of the last surviving Munchkins, Mickey Carroll, from the 1939 beloved film "The Wizard of Oz," died Thursday at the young-in-heart age of 89. 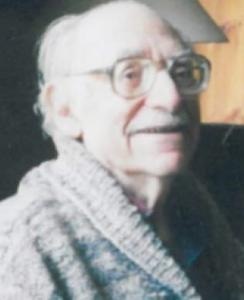 Caretaker Linda Dodge said Carroll died in his sleep at her home in suburban Crestwood due to heart problems. Carroll was one of more than 100 adults and children who were recruited to play the movie natives of what author L. Frank Baum called Munchkin Country in his 1900 book "The Wonderful Wizard of Oz." "The Wizard of Oz" was Carroll’s only movie. When it appeared on television in the 1960s, he found a new career at charitable events, retail events and Oz-related events. "It’s not me; it’s the movie," Carroll said. "When they see me, they think of their childhood, and it makes them smile." Carroll told The Associated Press in a 2007 interview that the Munchkins made only $125 a week while filming the movie that would become a classic. A pituitary condition caused Carroll’s short stature. Carroll danced at the Muny Theater in St. Louis when he was in grade school, he once said, and in the 1920s worked in Chicago clubs and on the Orpheum Theater vaudeville circuit. Carroll played the part of the Munchkinland "Town Crier," marched as a "Munchkin Soldier" and was the candy-striped "Fiddler" who escorted the movie’s wide-eyed orphan, Dorothy Gale, played by Judy Garland, down the yellow brick road toward Emerald City. In November 2007, Carroll and six other surviving Munchkins received a star on the Hollywood Walk of Fame. At a special screening of the film in 2005 in Los Angeles, Carroll said talking to longtime fans about the movie brought back their childhoods. "They have tears," he said. "I’ll say, `May the magic of Oz always be with you.’ And, `Follow the yellow brick road!’ And they’re all excited. I bring back their childhood. Ain’t that something?" 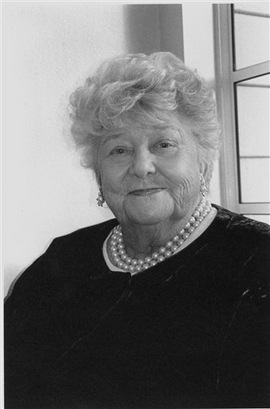 Though best known for her roles in “Golden Girls” and “Maude” (a spin-off from from All in the Family), Beatrice Arthur was also a talented and prolific stage actor, winning a Tony Award for best-supporting actress in the 1966 musical “Mame”, alongside Angela Lansbury. Bernice — she hated the name and adopted her mother’s nickname of Bea — overcame shyness about her size by winning over her classmates with wisecracks. She was elected the wittiest girl in her class. After two years at a junior college in Virginia, she earned a degree as a medical lab technician, but she “loathed” doing lab work at a hospital. “A lot of that had to do with the fact that I felt, `Ah, yes, I belong here,'” Arthur said. She won the Tony as best supporting actress and repeated the role in the unsuccessful film version that also was directed by Saks, starring Lucille Ball as Mame. 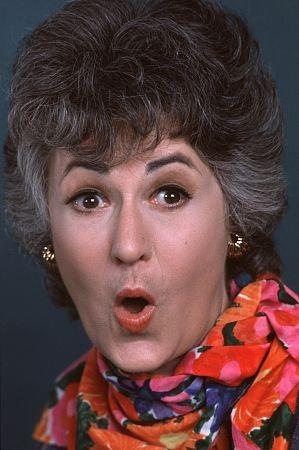 Arthur would play a variation of Vera Charles in “Maude” and “The Golden Girls. 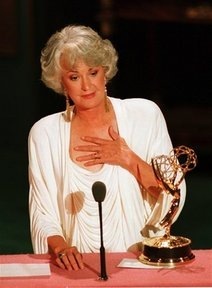 Tony-award winner Bea Arthur died at the young-at-heart age of 86. She will be deeply missed in the TV and theatre world. Bea Arthur and Rock Hudson: Watching the video below is like entering some gay bizarro meta-verse where carefree socialites harmonically chortle about amyl nitrate, and U.S. television networks broadcast it into your home. Except evidently at one brief, brilliantly weird point in history, this world actually existed. It’s but one more example of just how singular a figure Bea Arthur cut into the pop culture firmament, and why she’ll be so deeply missed.